This round of blogging through the Alphabet we are going to incorporate our Letter of the Week lesson plans with Five in A Row books. I am using the Letter of the Week with my 5 year old, and by adding in Five in a Row I am able to add Geography and Literature with my 9 and 11 year old as well. Trying to create our own unit study per say based on the letter of the week! High above the rooftops of Rome, Angelo begins his work restoring the façade of a once glorious church. As with every project, he starts his final masterpiece by clearing away the years of debris left behind by the many pigeons who nest in the nooks and crannies of Rome’s great architecture. There, among the sticks and feathers, he discovers a wounded bird. 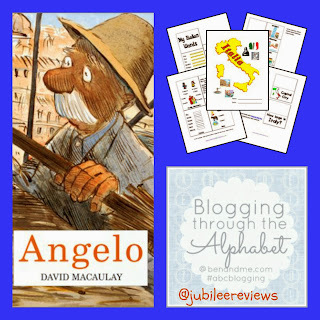 Finding no safe place to leave her, Angelo becomes the bird’s reluctant savior. As the church nears completion, Angelo begins to worry about the future of his aviary friend. �What will become of you? Where will you go . . . where will you . . . live?” he asks her. Realizing what he must do, Angelo returns to the church to add one final finishing touch. Through his artistry as a master craftsman he answers the questions about his humble friend and assures that he will not be forgotten. Angelo is based in Rome Italy so we traveled there on our studies. 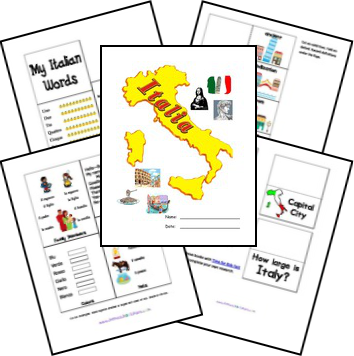 Italy quickly became our focus this week as we learned about volcano's, Pompeii, and Rome. 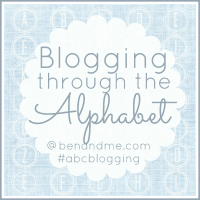 I really like how you are working the alphabet and blogging about it. 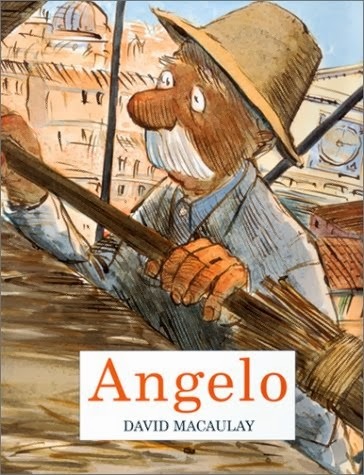 Angelo sounds like a very interesting book. I like the resources you shared as well.